Lavender is mostly safe to use, however young males who have not reached puberty are encouraged not to use it. It has been reported that lavender interferes with the natural hormones in the body and can cause gynecomastia. (WebMD, 2011) Some other side effects have been reported with the use of anesthesia. If mixed together, the rate of the nervous system may be inhibited too much, which can cause serious problems. (WebMD, 2011). 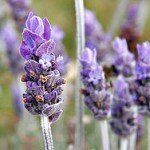 Hajhashemi V, Ghannadi A, Sharif B. Anti-inflammatory and analgesic properties of the leaf extracts and essential oil of Lavandula angustifolia Mill. WebMD. “: Uses, Side Effects, Interactions and Warnings – WebMD.” WebMD. WebMD, n.d. Web. 18 July 2012. UMMC, “Lavender.” University of Maryland Medical Center. N.p., n.d. Web. 18 July 2012.